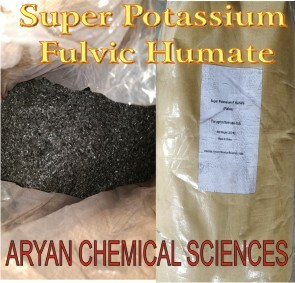 We import and offer best quality grades of Super Potassium Humates Soluble Shinny flakes & Powders. Potassium (K2O), Humic acid, Fulvic acid. Please contact us for your requirements of the soluble fertilizers in bulk. Seaweed extracts natural, Humic shinny balls, Fulvic acid, 6BA, and other organic technicals. We also offer ready to use formulations in Granules and Liquids as Organic fertilizers.